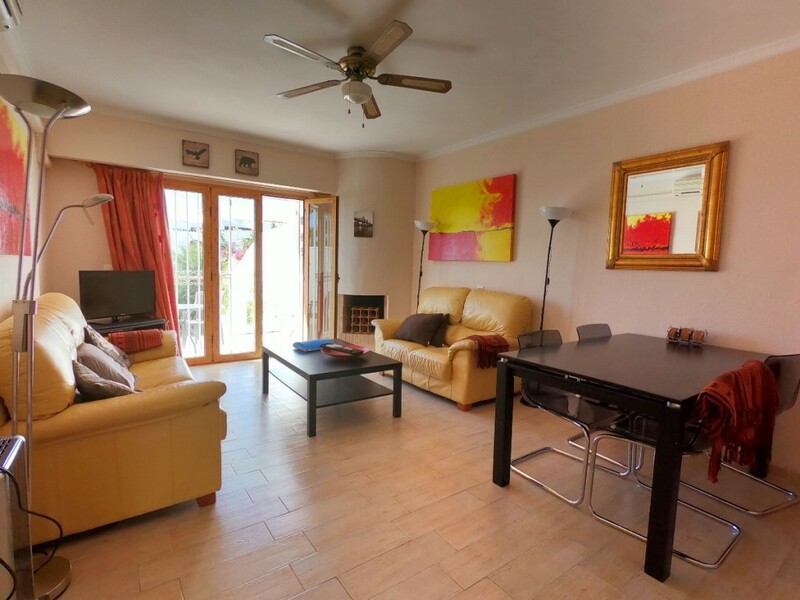 A bright and modern 2 bedroom townhouse plus independent studio apartment with communal freeform swimming pool and gardens. 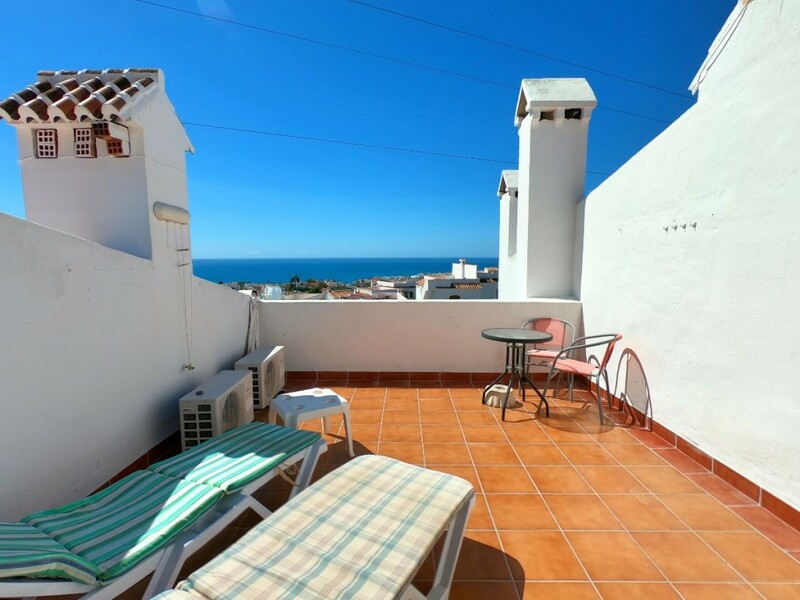 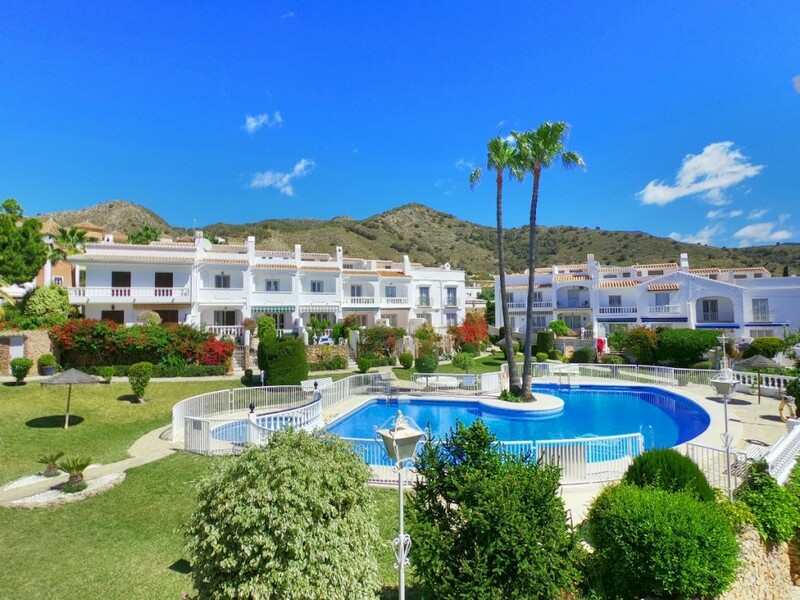 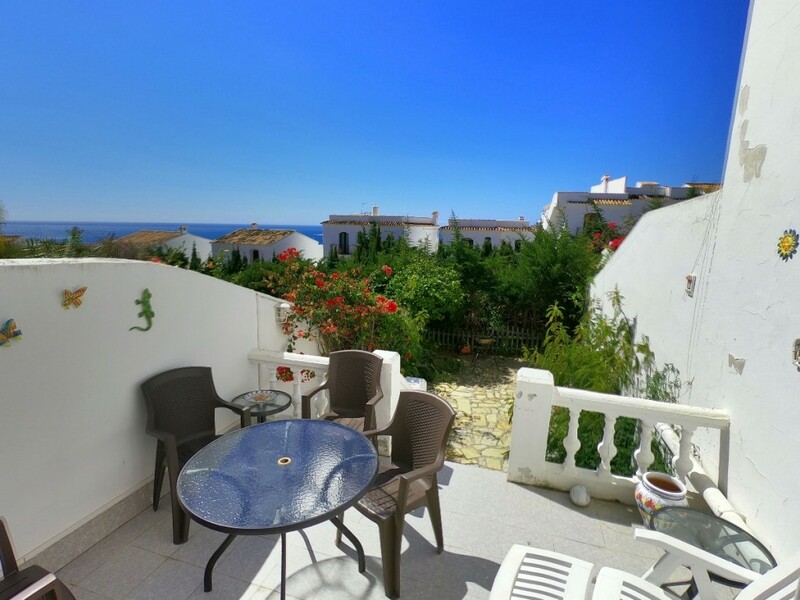 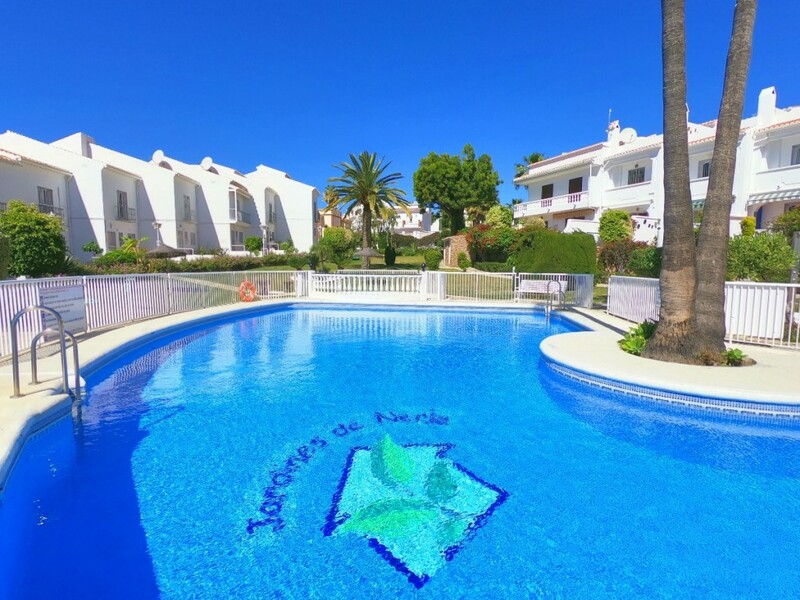 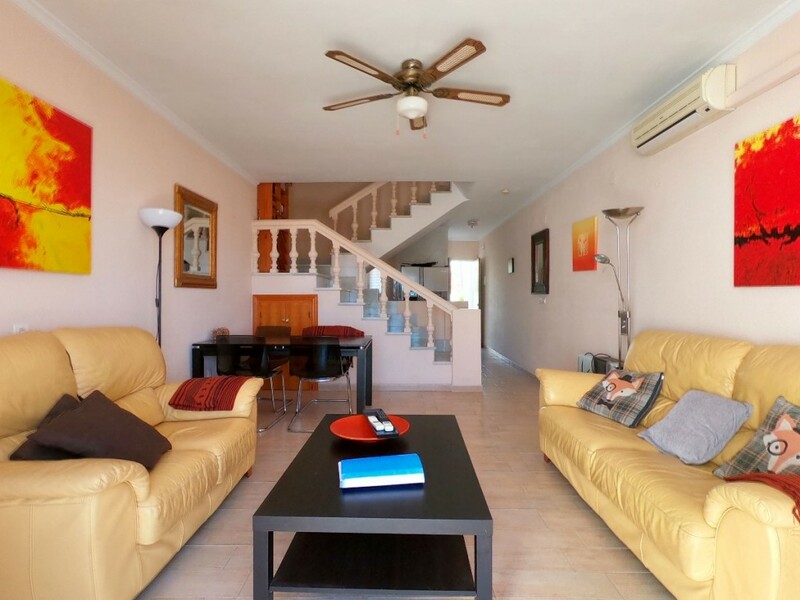 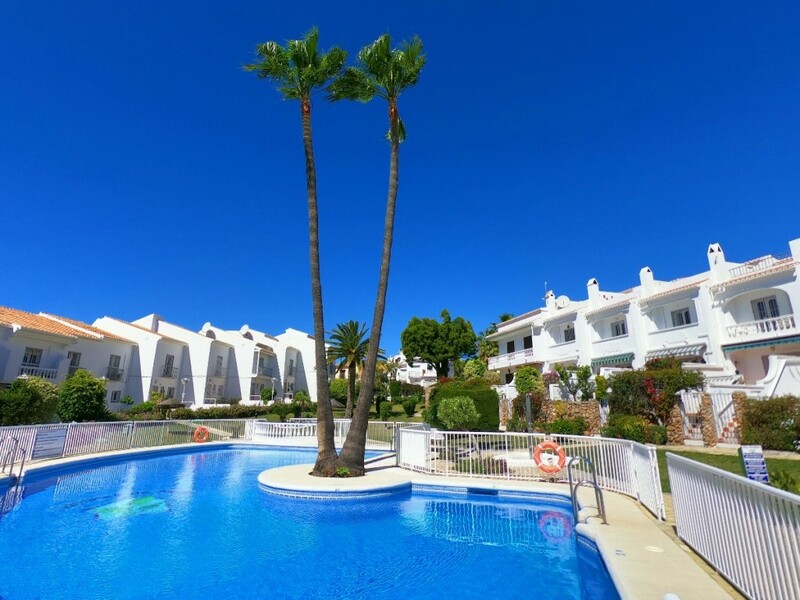 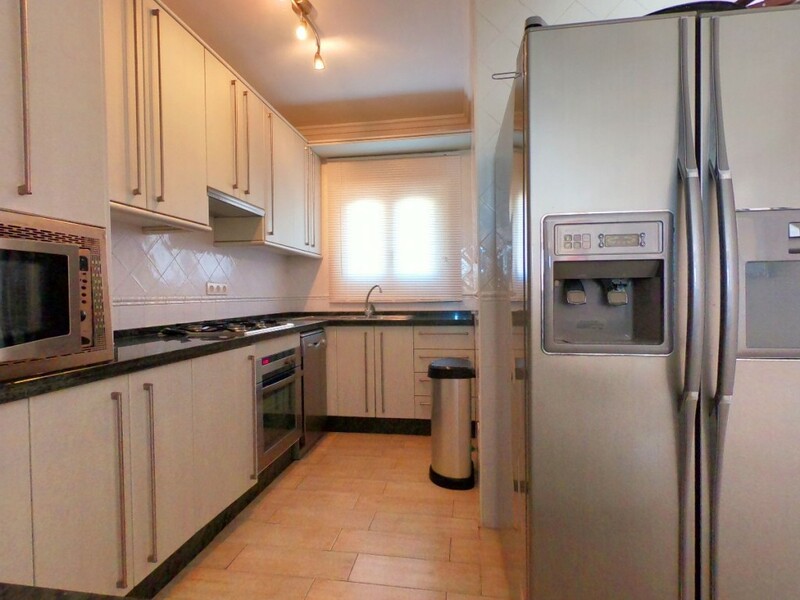 Only a few minutes drive from the beaches and Nerja town centre. 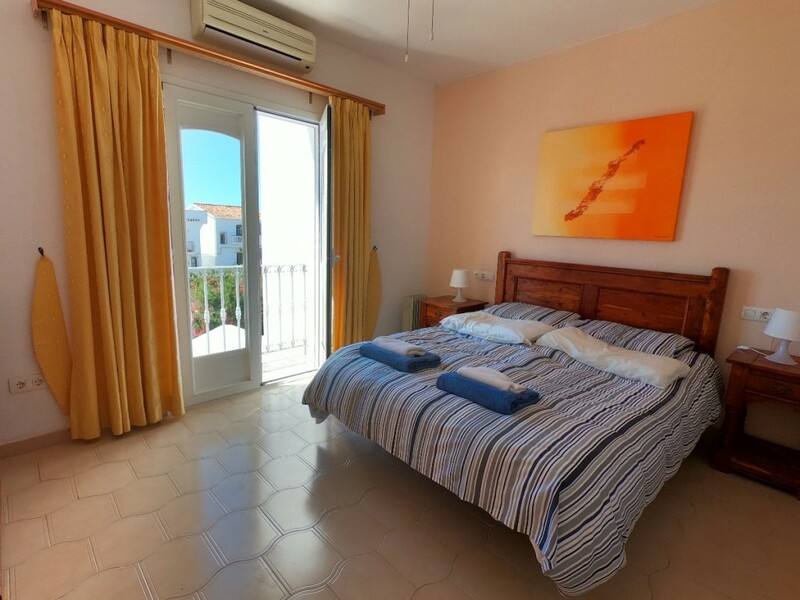 On entering the property you arrive into an entrance hall leading to open plan lounge and dining area with patio doors which open onto a small garden and courtyard. 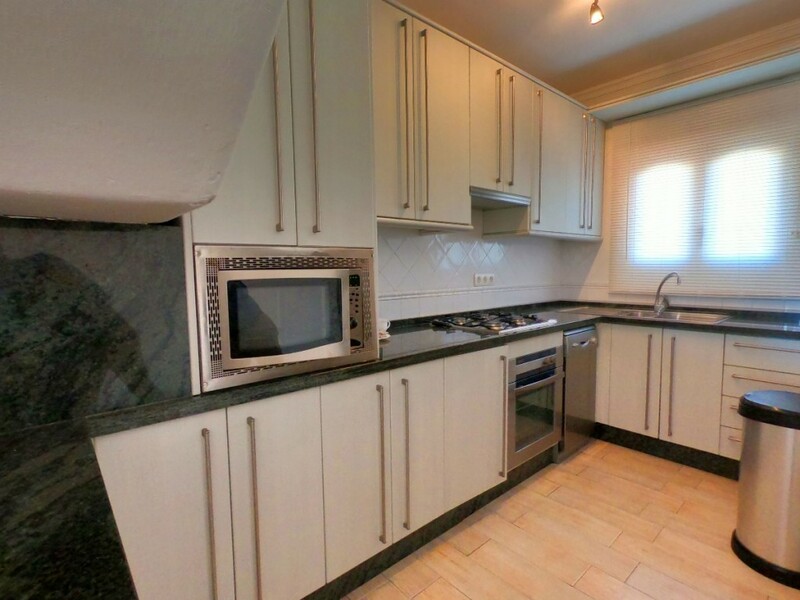 On this level is also modern fitted kitchen and a cloakroom/WC. 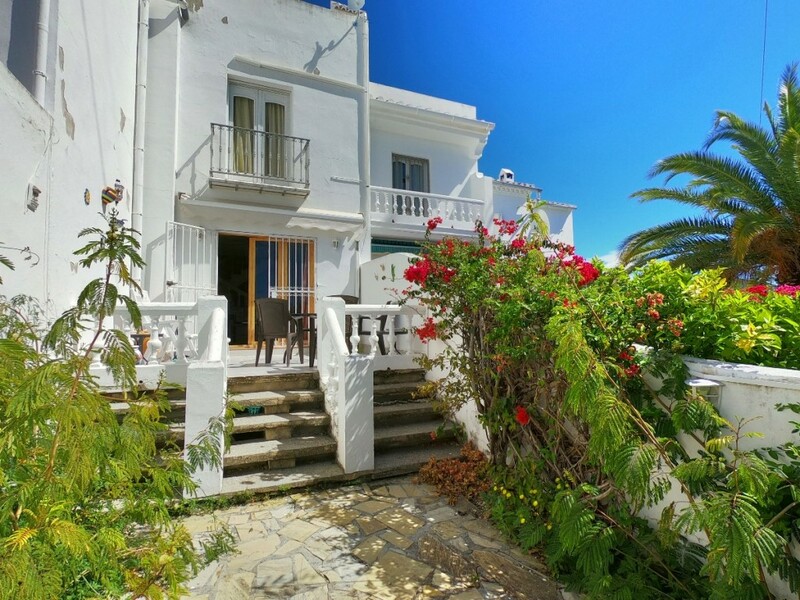 Stairs lead to the first floor with 2 double bedrooms and a family bathroom and further stairs to a private roof terrace with magnificent views to the mediterranean. 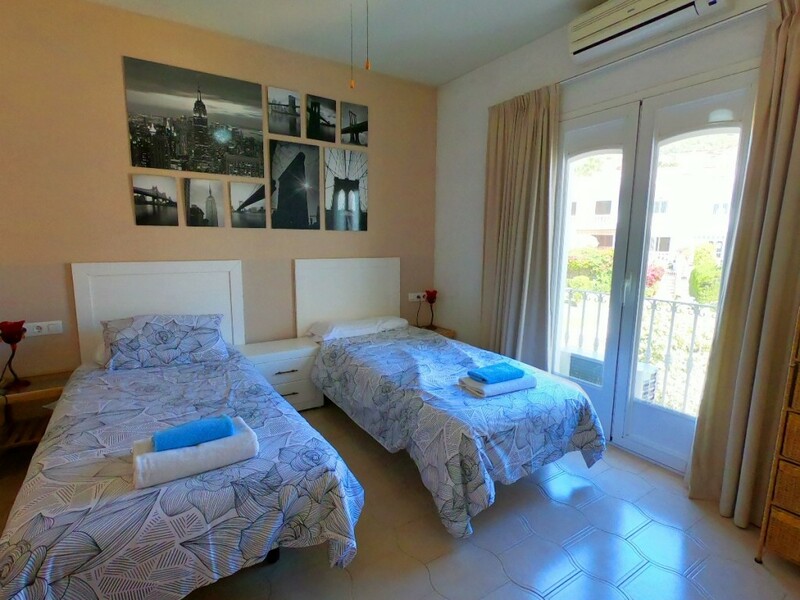 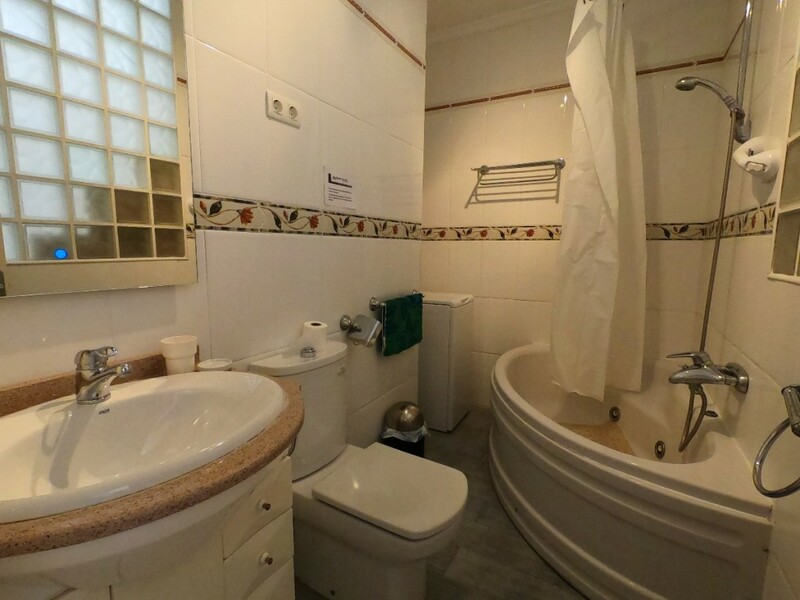 Accessed via it's own front door is the studio apartment which comprises large living room/bedroom plus kitchenette and shower room. 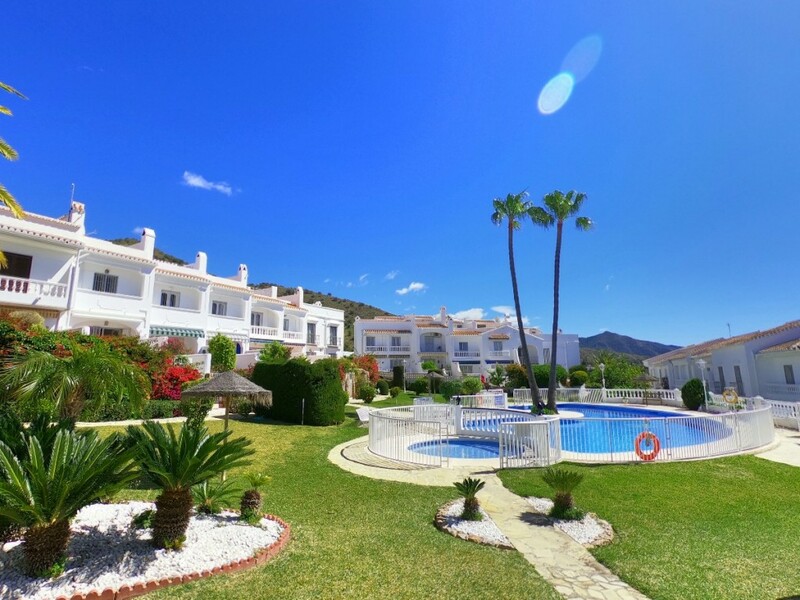 The property benefits from stunning communal gardens and pool as well as off-road communal parking.